Another season, same old PSG. On Wednesday night they crashed out of the Champions League thanks to a late comeback. Again. What is going wrong? PSG were supposed to take off and soar when they were taken over by Qatar Sports Investments (QSI) in 2011. They built a shiny machine with the best parts and brought in a fancy pilot, but this plane doesn’t look like it’s taking off anytime soon. Let’s look more closely at the PSG machine. The mad obsession with becoming great immediately forces a great many owners to take rash decisions. QSI is not very different. They have an aggregate transfer bill of over €1 billion in their backyard at Parc des Princes (€40m on Thiago Silva, €55.6m on Edinson Cavani, €62m on Angel Di Maria, €116m on Julian Draxler, and most recently, €357m on Neymar and Kylian Mbappe, to name a few) and UEFA keeps showing up at their doorstep to ask how they have so much money. Then they produce shady sponsorship deals with other Qatar outfits – Qatar Tourism Authority, Qatar National Bank, Ooredoo, beIN Sports and Aspetar - on seemingly overvalued terms. UEFA was happy to investigate and devalue the same last June. It’s not that all this money has gone down the drain. PSG are easily the best club in France and under the combined reign of Laurent Blanc and Unai Emery across 5 seasons (2013-2018), they won 18 out of 20 trophies available in domestic competitions. It is an era of unprecedented success at this club inside France. Carlo Ancelotti was the first manager brought in by Nasser Al Khelaifi under Qatari ownership. He was expected to build a PSG that would feature among the best sides in Europe in a couple of years. 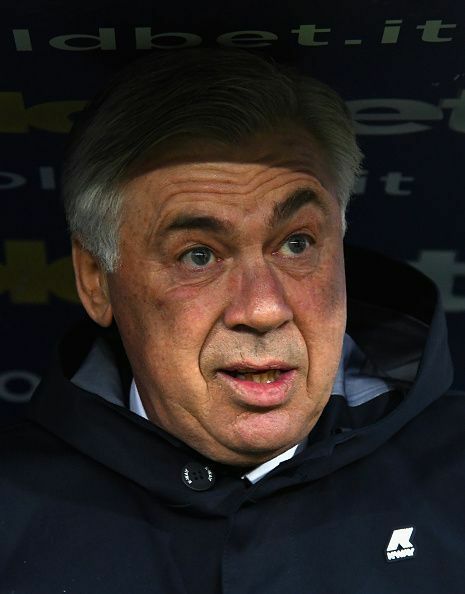 In his next season, despite consistent results, Ancelotti was faced with an ultimatum. “Win tomorrow or the sack,” he was told before a final Champions League group stage game against Porto. The game itself held no importance – PSG had already qualified. His philosophy just wasn’t spectacular enough. Ancelotti won the game, but he lost the trust. He felt uncomfortable balancing on a knife edge under such management and moved to Real Madrid shortly after. It has been a while since this episode, but it shows the Qatari owners’ desperation for success. They do indeed have the money to “buy” trophies, but investment in football clubs is slow to yield returns. They lacked the professionalism and facilities of “big” clubs when the takeover happened, as Ancelotti describes. The pressure on managers and arguably ill-placed expenditures do nothing to help. The next manager, Laurent Blanc left PSG after three years because of their “failure” in the Champions League in 2015-16. The team has not yet magically started performing seeing the massive price tags of recently purchased attacking players, despite the state-of-the-art infrastructure that is coming into place. PSG continue to produce defensive disasters in the Champions League every season, and QSI continues not bringing in world-class defenders. Subsequent managers struggle trying to fit in Mbappe, Cavani, di Maria, and Neymar into the same line-up. There have been various terms, sometimes politically incorrect, used to describe the French League, and the sheer lack of competition PSG have faced in most of QSI's tenure in charge. Without using any of those debatable terms bandied about on social media, it will still be fair to say that PSG just don't face enough domestic competition for them to have the intensity built up for the latter stages of the Champions League. It’s true that a number of players have risen to glory through French academies or clubs, the results of which were apparent at the 2018 World Cup. It’s one thing to hone players, however, and quite another to build a European juggernaut with them. PSG struggle to find competition that truly challenges them. Occasionally they go through seasons like 2015-16, when they won the Ligue 1 titles with 93 points, and the second-placed team was 31 points (10 wins and a draw) behind. 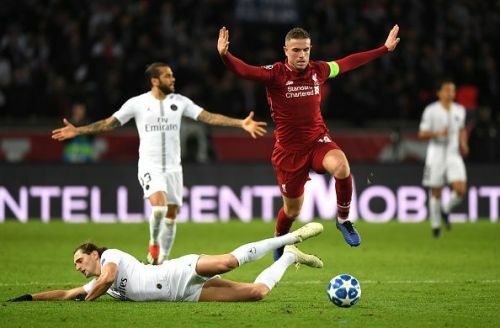 The mark of a top club, though, is their ability to perform in high-stake games, but PSG seem to have made something of a habit of bottling such games in the Champions League in the second legs, despite a comfortable advantage carried forth from the first, a pattern that has been consistent over the last seven years. Adrian Rabiot summed it up perfectly in his statement post a similar defeat against Real Madrid last season. The same story, then. “Wayward defensive display,” says one newspaper article. “Fallible when put under pressure,” says another. “Spurned gilt-edged opportunities to kill the tie off,” was the predicament this time. 3. PSG are just very, very unlucky. Maybe history really does move in circles. 3-1 at Old Trafford. 3-1 at Santiago Bernabeu. 6-1 at Camp Nou. 1-0 at the Etihad. 2-0 at Chelsea. 1-1 at Camp Nou again. Time and again, PSG have exited before the semi-finals despite being in a strong position. Bottlers, right? There is another question to be answered first - whom do we call bottlers? Maybe a Liverpool team that stood to win a first league title in decades in 2014 and then drew 3-3 at Crystal Palace. So, let’s look again at PSG’s final opponents in the Champions League in every season post the 2011 takeover. 3 ties against Barcelona. 1 against each of Real Madrid, Manchester United, Manchester City and Chelsea. In contrast, let’s look at Real Madrid’s run when they won the Cup in 2015-16 (the first of three): Roma, Wolfsburg, Manchester City, Atletico Madrid. What would PSG have achieved if they had just benefited from an easier draw? Who knows? PSG may have repeatedly stumbled at the same hurdle, but let’s take this information with a pinch of salt before passing heavy judgements. Succeeding in the Champions League is neither a necessary nor a sufficient condition to be a world-class team. Pep Guardiola’s Manchester City have been formidable in the last couple of seasons – so good that the best most English clubs can do is stare in wonder. Since Sheikh Mansour took over the club in 2008, they have played in the European Cup eight times – and managed to cross the Round of 16 only twice – the same as PSG. Are they a worse club for it? Hardly. Chelsea won their only Champions League trophy in what was arguably their worst season in the Abramovich era. They sacked Andre Villas-Boas between two legs of the Round of 16 and lifted the trophy thanks to a string of miracles. Were Chelsea better than Barcelona or Bayern Munich? Probably not. Were they the best team in Europe? That’s what the engraving on the trophy says. Knock-out matches are heavily influenced by random events. Single bad games can throw a team out. Individual mistakes can have the papers clamouring that despite the €1 billion worth of investment, the team is struggling to make real progress. Let us not mistake this sensationalism for a real critique of how business is run at Paris Saint Germain. 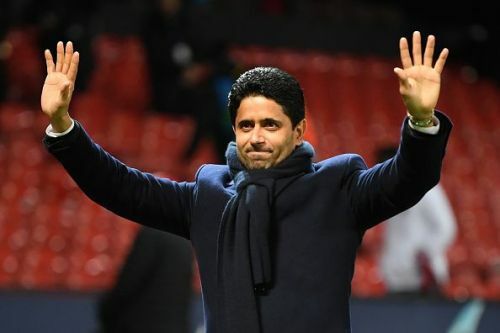 Nasser Al Khelaifi needs to decide where he wants to take PSG from here. That said, PSG have homework to do. They need to look at how big clubs function, instead of throwing money at the problem. A manager who is not constantly threatened and ready to take up such an overhaul of the culture of the club would go a long way – this implies not only a potential change of manager, but also a definite change in the attitude in the boardroom. They also have to learn how to absorb pressure rather than succumb to it – unfortunately, the domestic league and cups don’t provide great opportunities for practice. 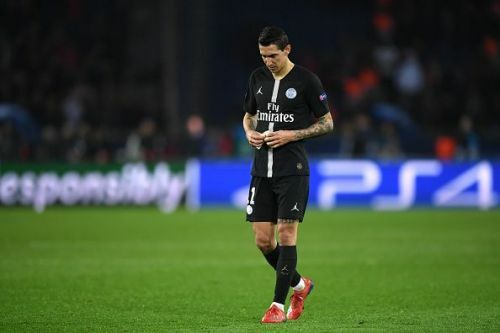 And maybe, before they turn the lights out at Parc des Princes tonight, PSG need to start praying to the gods for, maybe, an easier draw next season. One could of course argue that Manchester United, this season, was an easier draw, but that debate is for another day.